Celebrate 28 years of BICAS and our 22nd Annual Art Auction full of bicycle-inspired artwork, music and entertainment! This family event is free to attend. This is a family friendly event with drinks, food, arts and lots of great gifts for the holidays! Artwork is up during the two nights; up for bid on Saturday; and highest bidders may purchase and take home the art Saturday night. There’s also plenty of holiday gifts and merchandise for sale both nights! 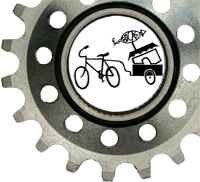 WHY: This fundraiser sustains us throughout the year so that we can continue to provide affordable and free bicycle education and services to the Tucson community.